52 out of 57 possible points have collected the Young Boys from Bern this season. The dominance of the reigning master is evident. Successful title defense is only a matter of time. After 19 games YBB has already proud 19 points ahead of the competition. The remaining teams will only fight for the title “Best of the Rest” this season. This second place is extremely important because the CL qualification would be guaranteed. The favorite of the runners-up is the Dominator of recent years, FC Basel. This weekend in the Basel St. Jakobs Park, the duel between FC Basel and St. Gallen! The only goal of the big FC Basel in the spring of 2019 is mitigation. In addition, evidence must be taken that the team has the quality to compete with the Young Boys in the coming season. The home game against FC Sankt Gallen is by no means a show for the team of head coach Marcel Koller. The aspens from Eastern Switzerland play an attractive football under Peter Zeidler and are always in for a lot of spectacle. As a current fourth, St. Gallen may also dream of Europe. Although the first duel in Basel went to St. Gallen, the hosts are the clear favorite. For a win of FC Basel against St. Gallen are offered for a corresponding tip odds in the range of 1.50. 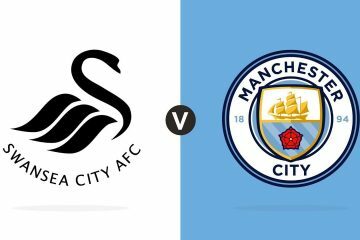 The game starts on Saturday at 19 clock. FC Basel was for years the Swiss flagship club. In the fall of 2018, however, the Bebbies mutated into a veritable chaos club with several fire pits. This time should now belong to the past and with consistency and hard work the big FC Basel would like to build on the old successes again. The championship is no longer an issue this season, but the 17 remaining games will be very trend-setting for FC Basel! Coaches and team must prove that they are able to stand up to the Young Boys. Marcel Koller was fired almost only a few months after the beginning of office almost again, but two victories at the end of the calendar year 2018 and a simple conversation with the club’s leadership did not end the cooperation. However, it is an open secret that the FCB in the spring of 2019 must deliver. The preparation was quite promising. New players did not have to be integrated, so Koller could build on some automatisms. The good performances from the preparation were also confirmed for the second half of the season. Impressively presented the Koller Elf at his former heart club, the Grasshoppers. Dominance was sprayed from the first to the last minute of the game. Although “GC” offered a very young team, Basel presented itself in good shape. Ricky van Wolfswinkel, who flourishes again under Marcel Koller, was the outstanding man with a hat-trick. The offensive was strong, but the defensive was not required. In the home game against St. Gallen Basel will have to prove that the defensive has improved significantly compared to the autumn. 33 goals in the first round were a catastrophic value. In comparison, Basel suffered only 31 goals in the entire season 2012/13. Basel stands for spectacle, an average of 3.74 goals per game prove this. In the match between FC Basel and St. Gallen, betting odds of 1.55 are offered for the tip on at least three goals! Personnel Koller does not have to change after the 4-0 opening victory. Center-back Eray Cömert is currently the only failure; behind Balanta, Zambrano and Suchy anyway he would only be the center-back number four! 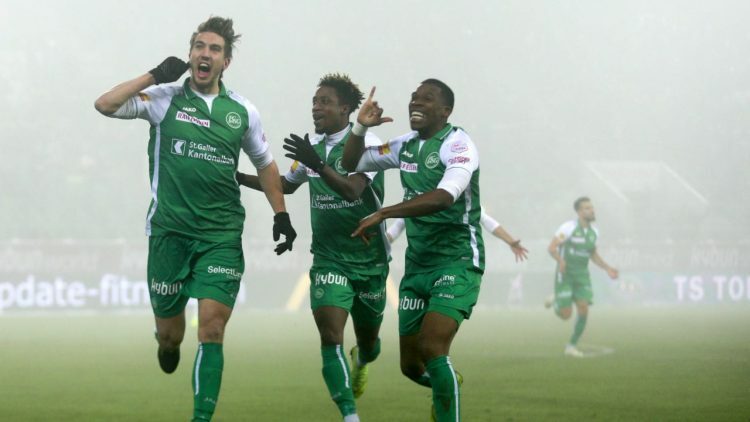 With a few days late, FC St. Gallen launched in the spring of 2019. After last weekend the place in Kybunpark was still covered with snow, proved on Wednesday night in their game against the cup winners FC Zurich only the mist as a problem. The course conditions made an interesting game possible, in which the guests took the book in the first minutes. However, St. Gallen presented itself ice cold after a strong preparation and Lausanne loan Simone Rapp (who was labeled as a false purchase in French-speaking Switzerland) played into the hearts of the St. Gallen fans. The first two goals in 3: 1 success went to his account, which he became the match winner. The physically robust Rapp is exactly the type of player who missed the FCSG after the Itten loss (cruciate ligament rupture). The courage of Peter Zeidler (formerly RB Salzburg) was rewarded. Similar to Basel, the Eastern Swiss also stand for absolute football spectacle. St. Gallen pushes extremely early and thus has short distances to the opposing goal. Front hui, back pfui was often the motto this season. With an average of 3.42 goals per game, the fans at FC St. Gallen get their money’s worth. 14 of the 19 league games ended so far with at least three goals! Accordingly, in the match between FC Basel and St. Gallen, these figures suggest a forecast towards the over 2.5 – or possibly even towards the over 3.5! Undoubtedly, the current fourth of the Swiss Super League is playfully one of the best teams in the league. The Zeidler-Elf will not hide away either because defensive football can not be played by FC Sankt Gallen. Except for the long-term injured top striker Cedric Itten and center-back Alain Wiss all players are available. In the recent past, home-holding has not been an advantage in the games between FC Basel vs St. Gallen, with the visiting team celebrating a success four times in a row. In the current season, this means a 2-1 victory for the Espen from St. Gallen on matchday one. On matchday ten FC Basel took revenge under Marcel Koller in Kybunpark with a 3-1 win. It is striking that the games between the Bebbies and the aspens in recent years repeatedly guaranteed goals. In seven of the most recent eight league games between FC Basel vs St. Gallen, the tip on the over 2.5 was crowned with success! The Swiss Super League was able to develop its reputation as a “baller league” this season. All ten teams have played more games with at least three goals this season! In 69% of the cases, the corresponding bets were the right decision. In this regard, a tendency to recognize, because in the three-way market appears only defending champion YBB as a constant. Otherwise, surprises were seen again and again. In the duel between FC Basel and St. Gallen, a forecast on the 1-X-2 market is also a difficult task. Value does not have a 1.53 quota on runner-up! For the first time this season, FC Basel have won three league games in series! The last four matches between these two teams each ended with an away win! Despite a goal difference of -5 FCSG is fourth in the table! On a similar level, the odds for the over 2.5 are in this duel! In both teams so far fell over three goals per game. The offensive series were already convincing in the first match of 2019 – with pleasing combinations many chances were scored. We expect a similar picture on Saturday in a direct duel, as both coaches want to see their team dictate the game. Accordingly, between the FC Basel and St. Gallen the odds for the tip for the over 2.5 with a 1.55 are significantly more lucrative than the 1.53 on the home win.